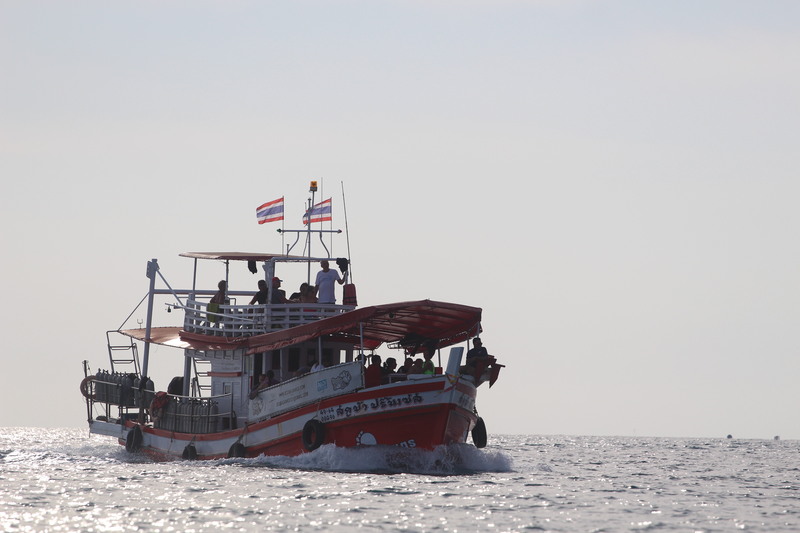 Operating 2 boats guarantee our customers comfort and safety. Our boats are never crowded. 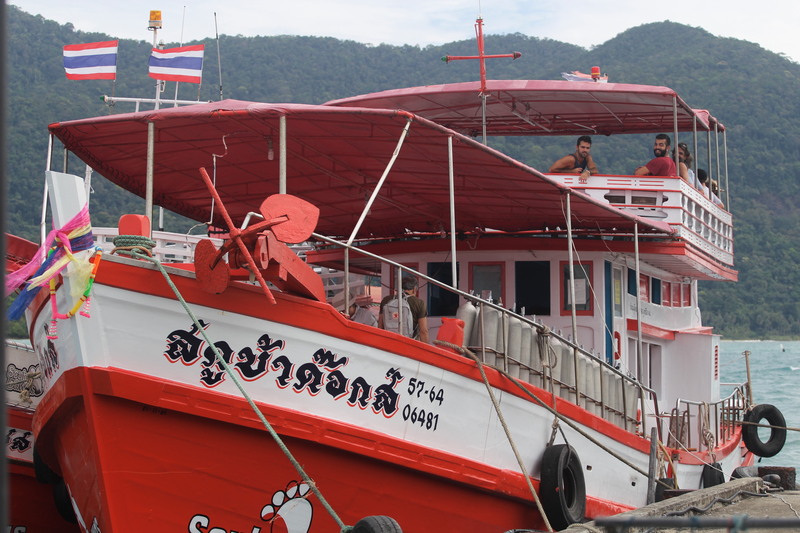 All boats are fitted with toilets, fresh water tanks, comfortable seating and plenty tank racks. 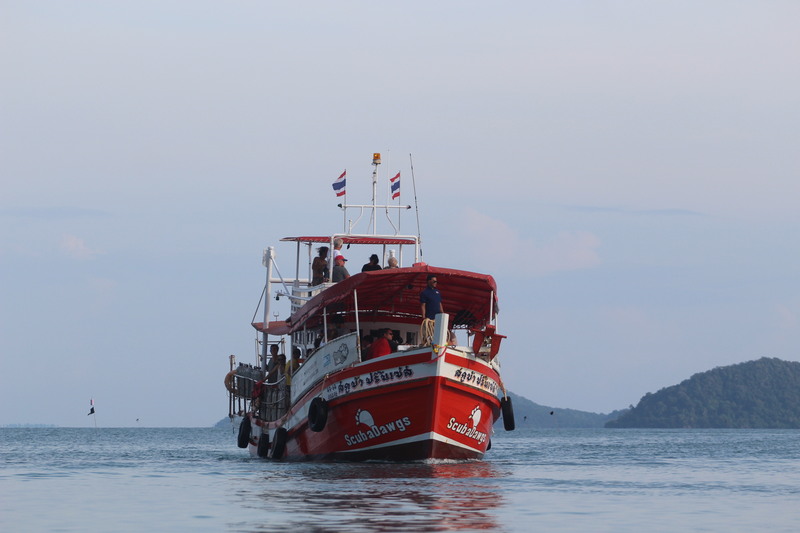 The boats are equipped with life jackets, fire extinguishers, emergency oxygen, first aid kits and a well trained crew. Every year both boats are dry docked and fully serviced. We have all required TAT licenses and are fully insured. 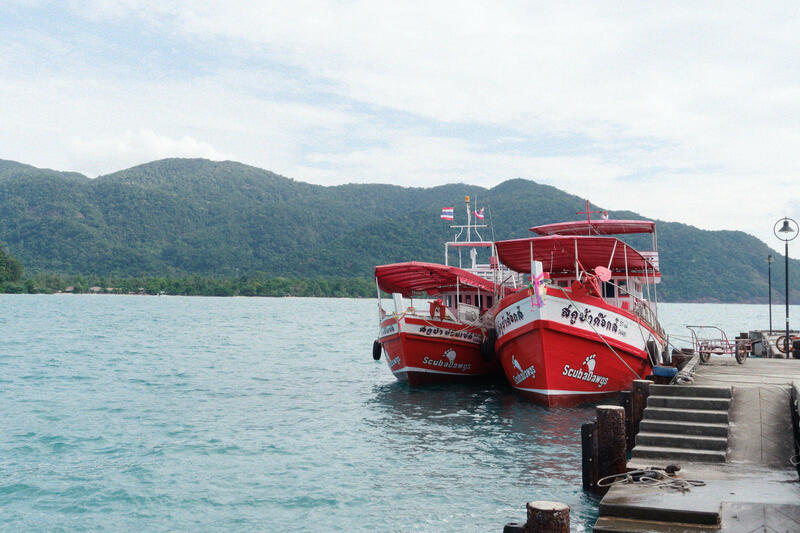 Beware of dive centers that do not have a boat and have no insurance. 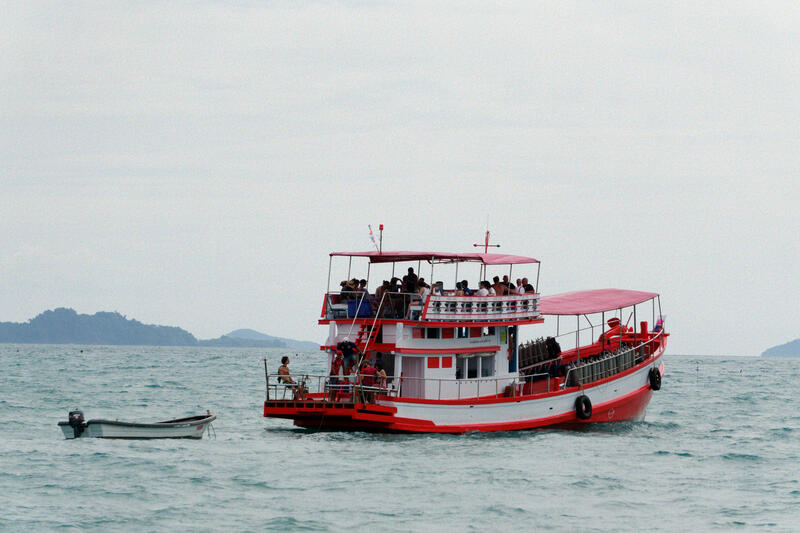 The MV Scuba Queen is our largest boat. It is very open and comfortable. 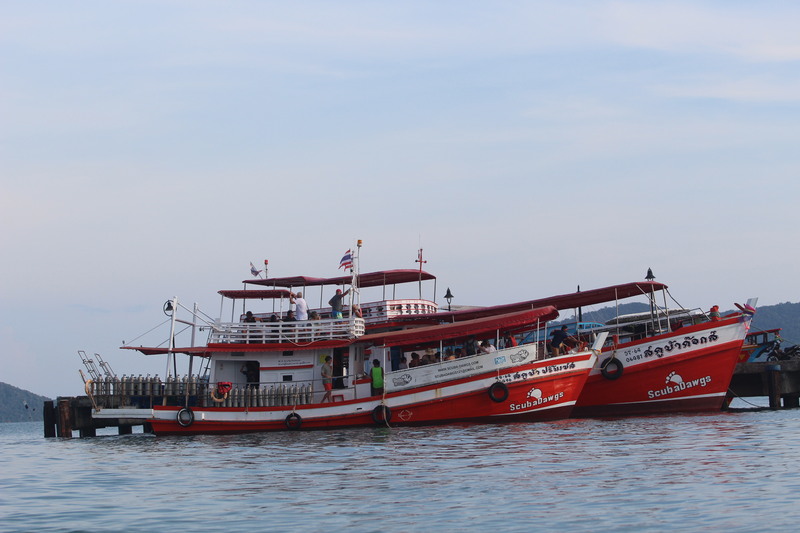 It has a midship port side entry and exit to and from the water. 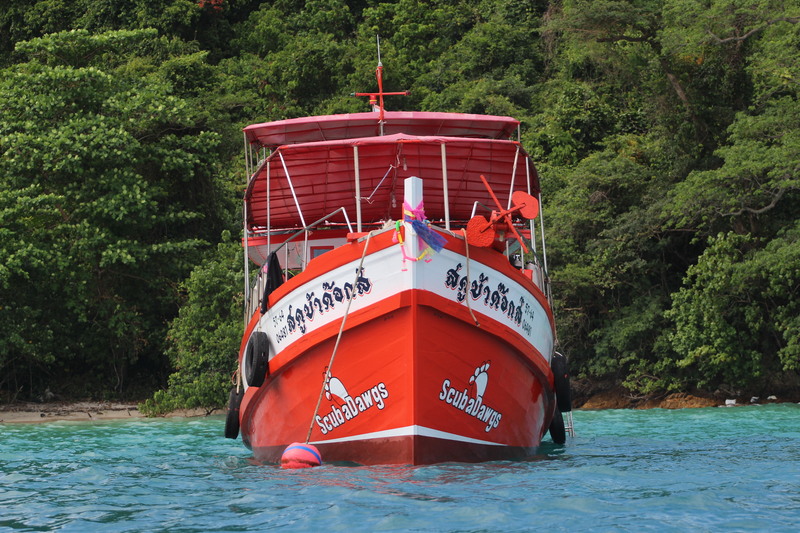 She is fitted with tank ranks for up to 35 divers and has a maximum capacity of 50 passengers. 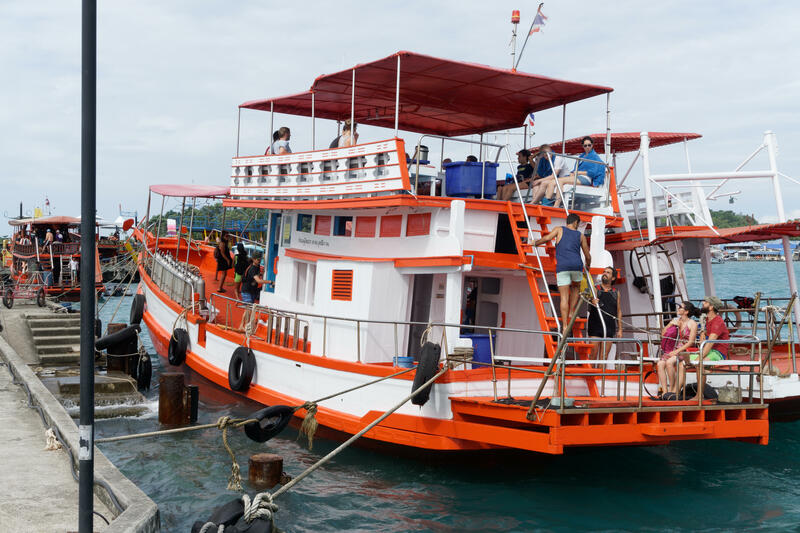 The "Queen" has plenty of space to accommodate divers and snorkelers alike and has a large upper deck to relax and eat lunch. 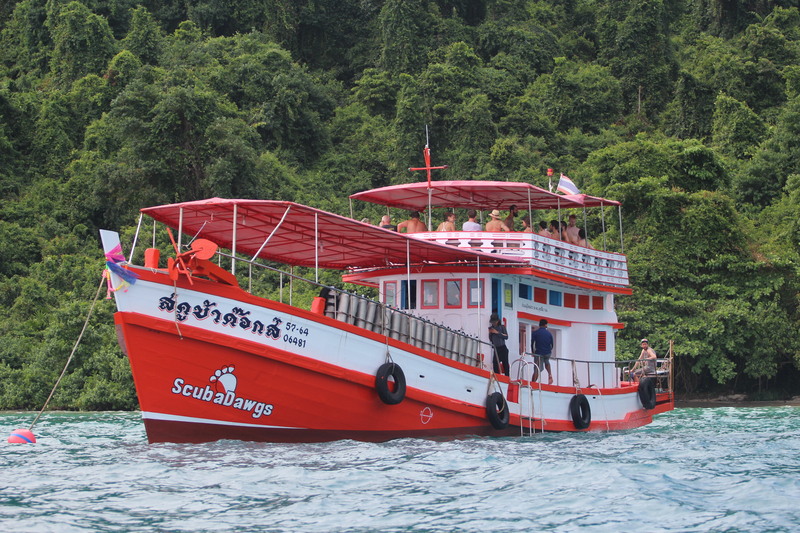 The Scuba Queen is the jewel of our fleet and is available for charter throughout the year except in the peak season December - January. 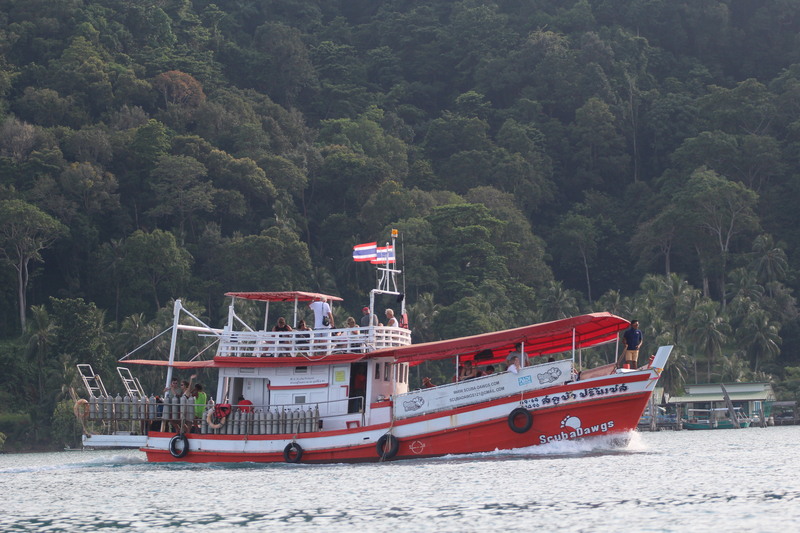 The Scuba Princess is at 17 meters long one of the larger dive boats on Koh Chang. Her HINO 315 HP diesel engine will allow a speed of 9 knots, making "the Princess" one of the fastest boats based in Bang Bao. It is certified and insured for maximum 40 passengers. 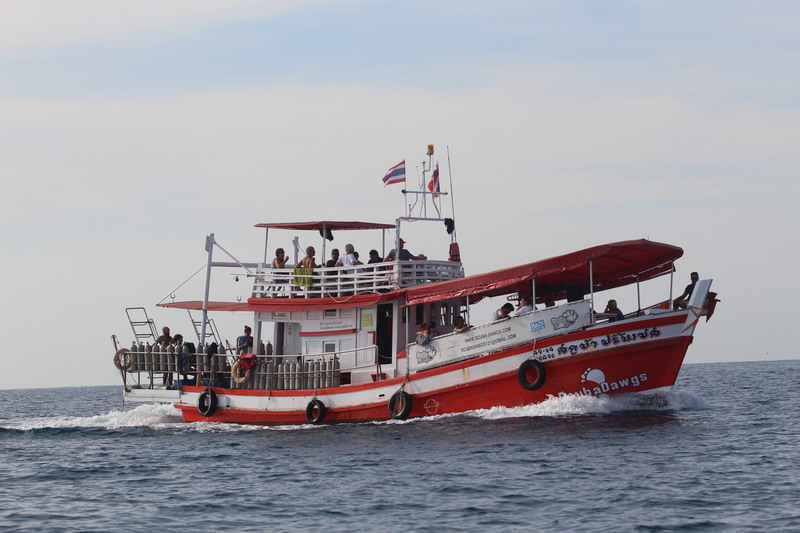 It has a stern entry and exit to the water, and has tank racks for 20 divers. 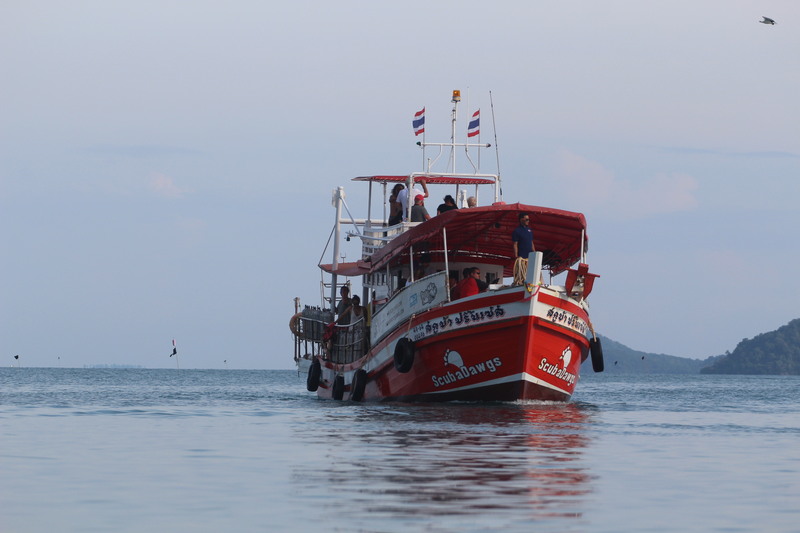 It has a large upper deck area to relax in between dives. 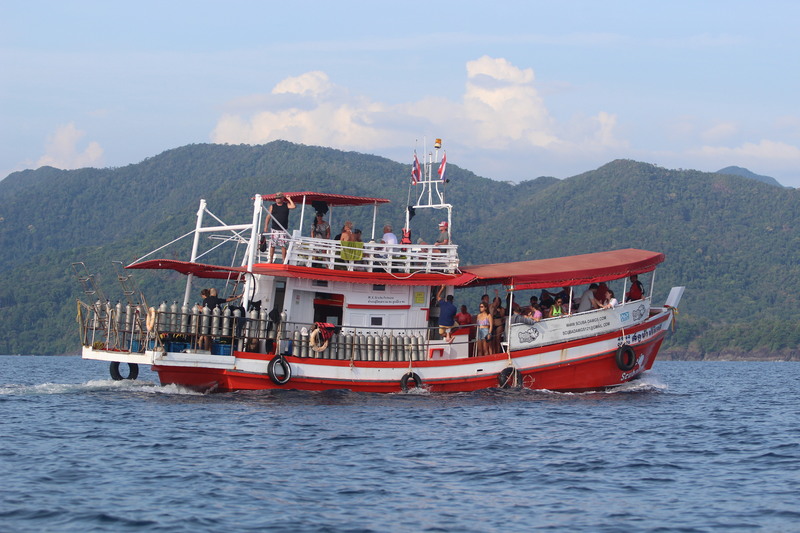 Available for charter the whole year except during the peak season December - January.